Firstly I have terribly sensitive skin that is prone to dry patches, excessive oiliness and breakouts. That’s one reason why I never use too many beauty products. Luckily I have never used any beauty or makeup products during my teens or even in my early twenties. Which means over the last ten years of my life, I have spared my skin from being exposed to various chemical & artificial ingredients that are an inevitable part of all beauty products. And since I had spared my skin for ten years or more, I can now indulge in using beauty products in moderation, with no harmful damage being done! Drinking lots and lots of water, exercising and eating healthy are what anyone would tell you when it comes to skin care. Apart from that a simple cleanse + moisturize routine is what works for the best. Some of the products that I am currently using depending on what my skin needs on each day! On days when my skin is feeling particularly dry I use this foaming cleansing milk for nourishing and healing it. It has almond and Indian berberry extracts and sandal oil in it. It works really well on soothing dry skin. I usually use it in the evenings as it is specially suitable for removing even the stubbornest makeup from my face. Diamond bhasma or heerak bhasma ( diamond ash powder) in the field of Ayurveda is also known as Vajra Bhasma due to its multiple benefits. It balances all the tridoshas : Vata, Pitta and kapha naturally and without any side effects. It has innumerable benefits right from solving digestion problems to helping with cancer. 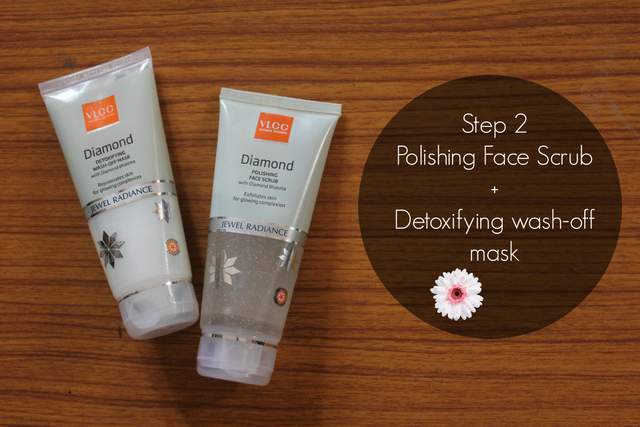 This wash-off mask has Diamond bhasma and Vitamin E among other ingredients. It really clarifies the skin leaving it looking very fresh with a natural glow. The polishing face wash scrub has little diamond crystals and jojoba oil to provide long lasting moisturization. The crystals don’t work that great as an exfoliating scrub. It is a bit too gentle for me! But if you take an appropriate amount and scrub for 7-8 minutes it works perfectly fine. This scrub is for all skin types, so instead of using it on the face, I use it as a lip and body scrub. 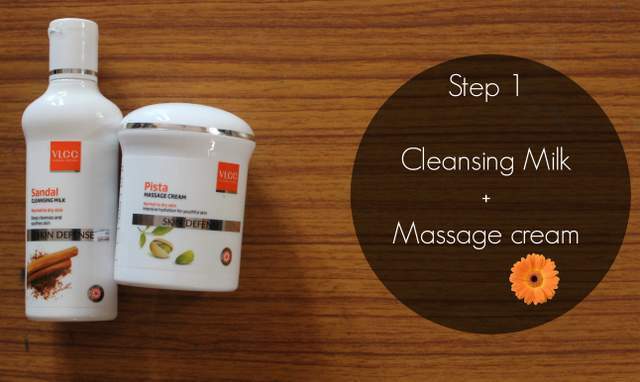 It has aloe vera and rose extracts that cleanse and nourish the skin leaving it calm and fresh. It has micro granules and finely crushed walnut shell powder, that helps remove dead skin, superficial black heads and you end up feeling refreshed. And lastly I top it all off with the matte look sunscreen lotion in SPF 30. The consistency is very thick and I was apprehensive when applying it the first time. But it is completely non sticky plus light. After you apply and let it settle into your skin, you don’t feel it at all. It gets absorbed very quickly and leaves a matte finish so there’s no worry of it getting sticky or melting off your skin and onto your clothes. 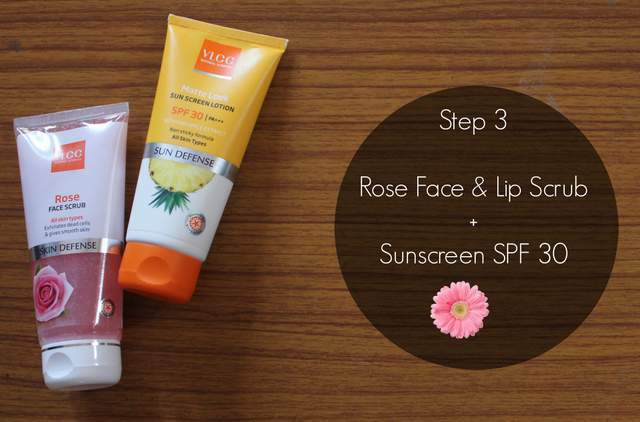 So that’s my summer skin care routine with all of these VLCC products. They stress heavily on using Ayurveda approved ingredients in all their products so I am really loving the feel of them on my skin!